Fatah Central Committee member Nabil Shaath blasts Trump over his support for Israel. 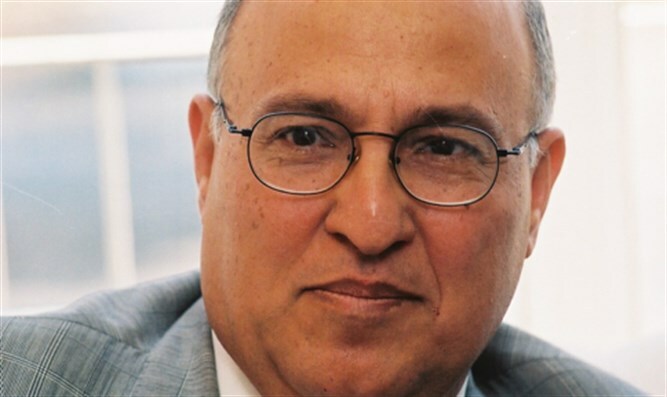 Nabil Shaath, a member of the Fatah Central Committee, blasted U.S. President Donald Trump on Saturday, stating that Trump had “declared war on Islam”. Speaking in an interview with the Hamas-affiliated Palestine newspaper, Shaath said that so far there have been no contacts between the Trump administration and the Palestinian Authority (PA). He further stated that Trump declares openly that he is an ally of Israel, wishes to move the American embassy from Tel Aviv to Jerusalem, does not intend to criticize the “settlements”, and instead sees them as a right of Israelis. As such, said Shaath, Trump declared war against Islam and Muslims in the world and conducts himself in a threatening manner with the Palestinian people, while at the same time supporting, or at least not being critical of Israel’s “aggressive approach”. Shaath called on the PA to focus on creating a united front with Trump’s opponents in the U.S. and the world, since Trump is a businessman and if international forces were to act against him, he may change his policy. "We support peace on condition that Netanyahu and his soldiers and murderers and settlements will leave our land," said Shaath, adding that the PA is not afraid of American threats to turn to the International Court in The Hague. PA officials have in recent weeks taken exception to Trump’s actions vis-à-vis Israel, particularly with his campaign promise to move the embassy to Jerusalem. PA chairman Mahmoud Abbas recently promised a “political and diplomatic response” if Trump moves the embassy to Jerusalem. Palestine Liberation Organization (PLO) Secretary General Saeb Erekat has been critical of the proposed embassy move as well. Erekat recently threatened yet again that the PLO would immediately revoke its recognition of the state of Israel if the United States moved its embassy in the country to Jerusalem, even though the PLO has never changed its charter which states that Israel has no right to exist – despite its promise to do so as part of the Oslo Accords. Erekat was also vocal in his criticism of the Trump administration’s apparent silence following Israel’s approval of 2,500 housing units in Jewish communities in Judea and Samaria. Several weeks ago, he published a video in which he demanded that the Trump administration respond to the construction. Despite Shaath’s comments that there has been no contact between the PA and the Trump administration, reports this week indicated that PA intelligence chief Majed Faraj met with U.S. security officials in Washington.